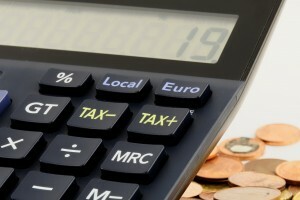 Government data reveals an e-cigarette tax poses risk to public health in Ireland. Proposals by the Department of Finance to tax electronic cigarettes in a similar way to tobacco products, poses a risk to public health in Ireland. Government data reveals an e-cigarettes tax could cost almost 250,000 quality adjusted years of life. A 23% VAT is already levied on e-cigarettes, but there are ongoing discussions in the Department of Finance and at EU level of a new excise category that would force up the price of these alternatives to tobacco. A report produced the IVVA using Irish Government data suggests a worst case scenario of Irish citizens losing almost 250,000 (quality adjusted) years of life. This is based on modest estimates of the numbers of people who will return to tobacco cigarettes in response to a new tax – and also of the numbers who will continue smoking rather than begin ‘vaping’. According to the Dept of Health, half of tobacco cigarette users die of a smoking-related disease, resulting in 19 smoking-related deaths a day in Ireland. Each admission to hospital with a tobacco related disease costs our health system an average of €7,700. Proposals for a new e-cigarette tax risk reversing progress made as some vapers return to smoking, either because the cost benefits have disappeared or because their supplier closes, no longer able to operate in the sector. 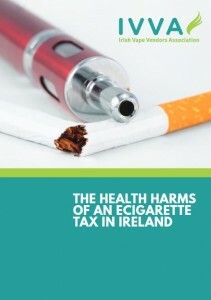 There is also a risk that a new tax would be viewed by Ireland’s vapers as evidence for the false view that the harm from tobacco and e-cigarettes is the same – so it makes no difference whether they smoke or vape. An estimated 70,000 vapers in Ireland no longer smoke. The academic evidence is that each person who quits smoking gains an average of between 0.99 and 2.58 years of life, quality adjusted (ie QALYs). Quality Adjusted Life Years – QALYs – are years of life, adjusted for quality, such that 10 years of life in perfect health equates to 10 QALYs while the same 10 years of life at 50% quality of life would equate to 5 QALYs. If 20% of Ireland’s vapers return to cigarettes, between 13,860 and 36,120 quality adjusted years of life would be lost. There is also the risk that existing smokers who would otherwise have switched decide against doing so. If 10% of existing smokers would otherwise have quit, that means 82,700 more smokers and a consequent loss of an extra 81,873 – 213,366 quality adjusted life years. An e-cigarettes tax would have greatest negative impact on Irish citizens aged 25 to 34 and the most deprived areas of the country, as smoking rates are highest among these groups. If the government wish to reduce the number of people who die from smoking, they should be doing everything in their power to protect the attractiveness of these products to current smokers and also promoting their use through policy change and public awareness campaigns of their relative risk. The UK and England in particular have acted far more pragmatically and proactively in this regard. Figures by Prof Robert West of University College London, estimate that vaping has created an extra 20,000 ex-smokers there each year, who wouldn’t otherwise have stopped smoking by any other means. If the government here continues down the road of applying tax to e-liquids, this may appear to the public as merely a punishment on ex-smokers for lost revenue on cigarettes. Surely that’s not Minister Noonan’s intention?